This topic pun probably would have been better suited for Halloween but I suppose it can work as a kick off to November. Interestingly, almost exactly a year ago, I had written HERE talking about concert etiquette for both the classical crowd and the rowdy rockers. Funny how these kinds of subjects get brought back around to our attention. I’m posing a question out to all of you, as I sometimes do, because I’d like to know what your standing is on the clashing of concert etiquette and extreme fans. While I’ve covered the whole premise that certain live performances of certain genres give way to an implied environment, a la mosh pits full of outright intentional violence, what about craziness that can ensue just as a result of over zealous admiration rather than deliberate rudeness or malice? 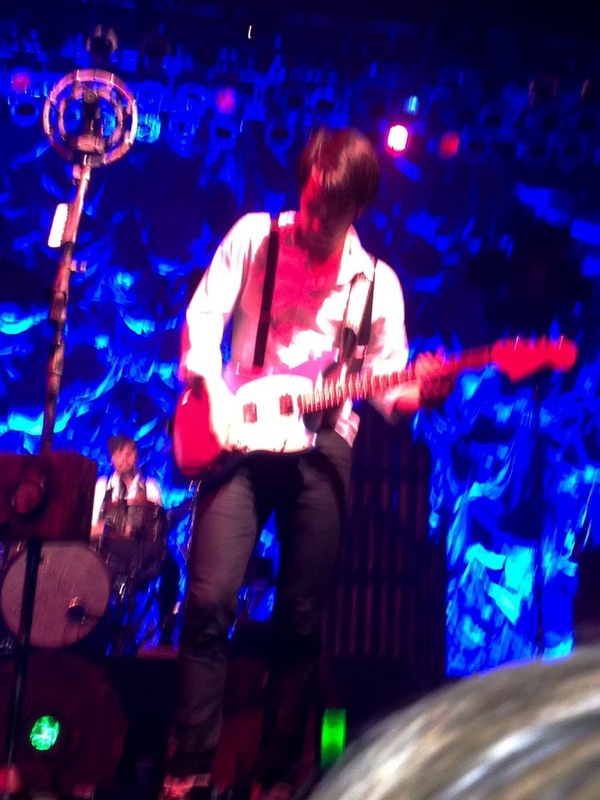 Over the weekend I went to see Panic! at the Disco at The Paramount in Huntington, NY and had a great time while there. I like Panic! at the Disco and enjoy all the music from each of their albums, though I do prefer certain albums over others. The thing is, Panic! definitely isn’t the absolute #1 top band I always reach for on my iPod or on my stack of CDs in my bedroom. I have other artists I gravitate to more often. Even for said artists though, I think my reaction would be the same if I were to go to a live concert for any of them at any time. That reaction, would be exactly how I was over the weekend while staring up at Panic!’s frontman Brendon Urie: Hyped up and rocking out but just wanting to stay intact. I was at a general admission show and that said, you are literally pressed up against other people. It’s expected. However, that doesn’t mean I’m going to also expect to somehow defy the laws of physics and think I can pass through someone if I am standing behind two other rows of bodies but without fail must be capable of touching guitarist, Ian Crawford‘s hand if he gets close to the edge of the stage. Nor would I think that you have to raise up like an insurmountable wave of scavengers when a crumpled up, spit and sweat covered set list gets thrown out to the floor for someone to catch. *cough* real experience from the weekend *cough* I get that you might be caught up in the sheer amazing reality that your musical celebrity idol is so close to you but a sliver of realism about the fact that trying to crush my lungs will not bring you any more success in achieving your goal. There are bands and songs that you might discover long before your friends do and when a group is still unknown and no one is obsessing over them yet. (This also runs over into the topic I’ve covered about long time fans vs. non-long time fans.) Topping that off, you might even be friends with people that start bands and develop their own tour circuit and try to carve their own way into the business with moderate or even better success. If that’s the case, you’re experiencing the development of an act and have that sense of an intimate relationship with those people. (I also happen to have been through these scenarios first hand) As such, when I shake someone’s hand who’s more famous than me, I can see them for who they were. They were an average-known non “A-lister” up until their big break at “so and so” date. I didn’t know they existed prior to then and neither did most anyone else who loves them now. So I guess I just don’t feel the need to see anyone in such a light that I could never imagine being “privileged enough” to be in their same airspace. Sure, now that someone is famous chances are I won’t be in their same airspace often, if ever but it doesn’t mean they’re not still a regular person and any regular people usually don’t inspire incomprehensible emotional fits of shock. While not everyone has watched a friend’s band try to make it and been able to say “hey I know that guy on stage,” everyone has connections to someone who can connect them to something. That idea parallels the idea of keeping things, and people, real in my opinion. Does anyone else see where I’m coming from on this? If Ryan Tedder were to be in my presence right now, as he is definitely a music industry big shot whom I refer to and listen to often, I’d be thrilled and excited to meet and get to know more about him but would I feel like it’s such an impossibility that I get to be in that situation? No, I can’t say I would. I understand excitement, but self-imposed disillusionment resulting from a person’s celebrity status is another story. Wait, Can We Back-Up Things Up for a Second?